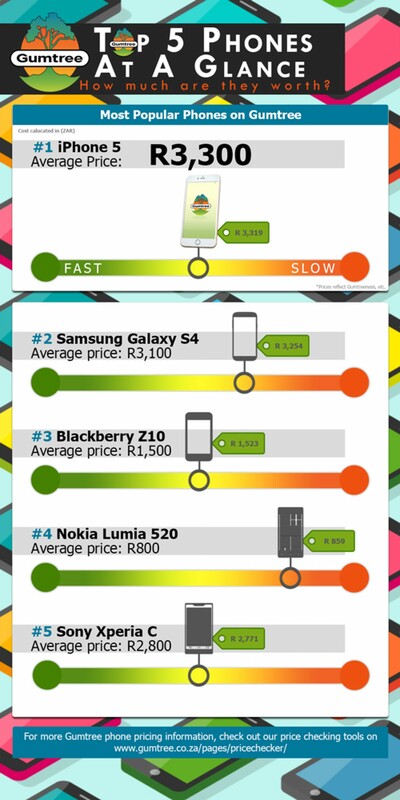 Gumtree South Africa presents the top 5 most popular cell phones for sale, which of course include the iPhone and Samsung Galaxy. Gumtree also shows us with their Phone Price Checker how to appropriately price your phone when you’re ready to sell it. If you price low, it’ll sell fast and if you price it high, it’ll sell slower! Sounds easy enough, right?